For many, many years now Br. 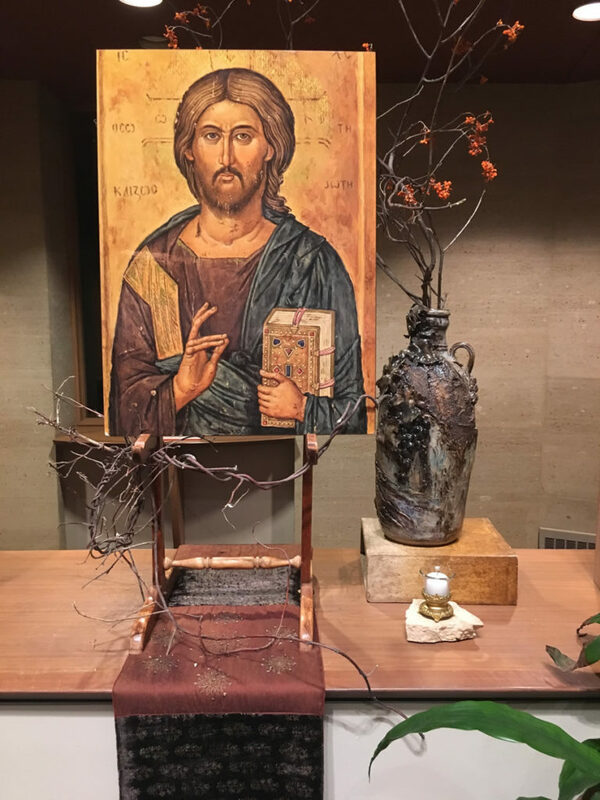 Jerome Kmiecik has very unassumingly created our chapel with a simple environment that is always beautiful — spiritual — monastic. 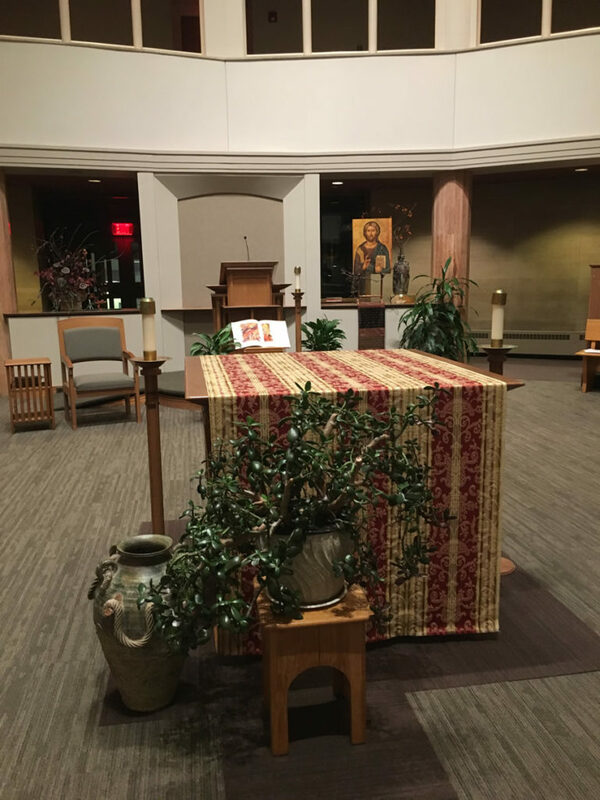 After the Christmas splendor, it is a very awesome feeling to enter the chapel and walk into an atmosphere that is simple, ordinary—but moving. I am not always sure that we all appreciate the thought and feeling that goes into creating such an environment. 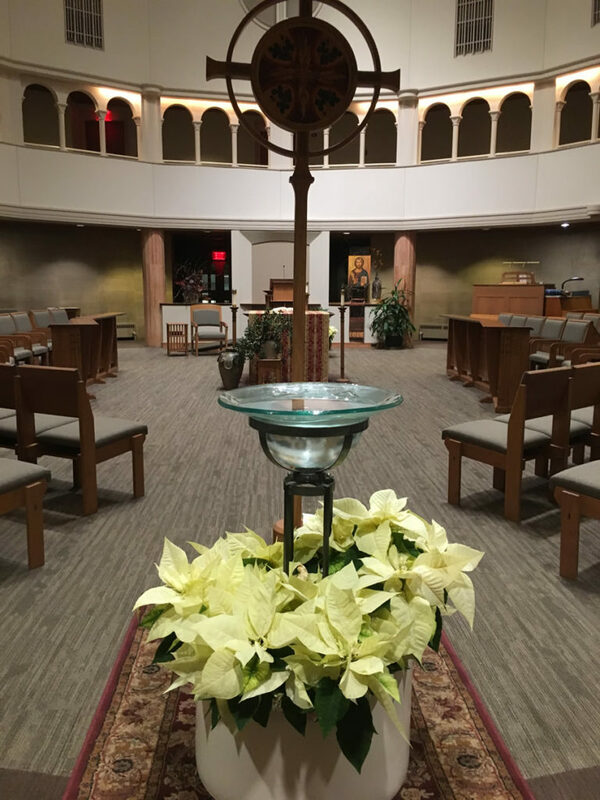 I could not help but be inspired and awed by the environment created for the Baptism of the Lord and the beginning of Ordinary Time. I truly felt: This is my beloved Son — Listen to him! 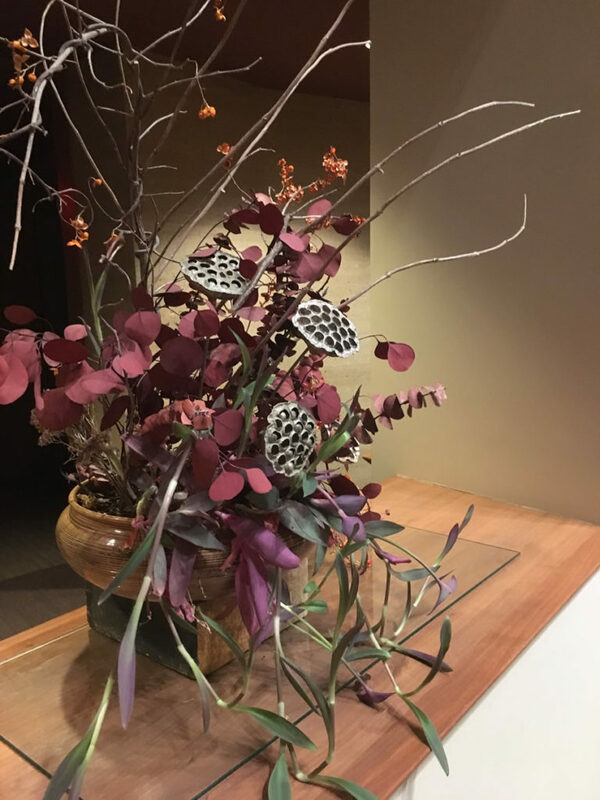 The use of the simple purple wandering Jew ivy — or purple ivy — along with bitter sweet and a few eucalytus branches creates a beauty of the season—such a blend of subdued colors is very pleasing. There is always balance in Br. 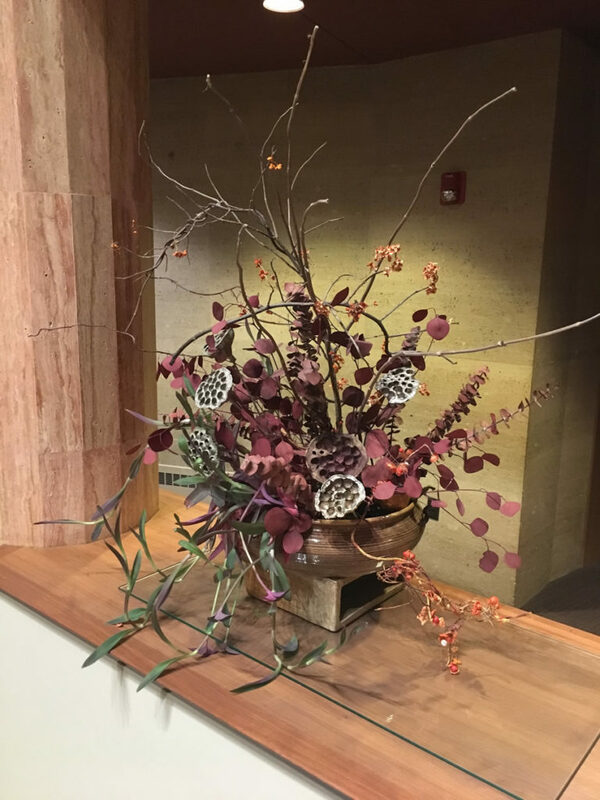 Jerome’s arrangements and artistic positioning of plants and icons. Below are a few photos that speak much better of what I am saying. Thank you, Br. Jerome — you are a blessing!